One of the books I keep close by on the shelf is Paul Glimcher’s “Decisions, Uncertainty, and the Brain: The Science of Neuroeconomics”. 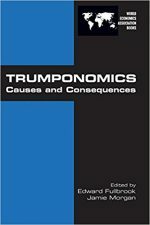 It dates back to 2004 and is one of those books that provides a glimpse of what a dialog between economic theory and psychology might produce. More to the point it explores the issues surrounding economic decision making at a deep biological level. It thus adds substantially to the behavioral explanation of economic activity. Apart from making me think about the practical problems of decision making, one of the additional benefits I had from reading the book was that it introduced me to David Marr whose work was instrumental in the development of neuroscience. a few decades back. I want to note, with sadness, the death of Alan Krueger who was one of those economists undaunted by the existence of the real world and all its complexity, and had the courage to present conclusions based on empirical work rather than on pure theory. Others will write more cogently than I can about his impact on the profession, so I will simply note that his work, with David Card, on debunking the notion that a rise in the minimum wage will always cause higher unemployment ended the anti-social grip of textbook economics on a very key issue for tens of millions of his fellow citizens. And ended that grip on a positive note. I am not quite sure what to make of the phrase “radical uncertainty”. It pops up in most discussions of Keynes as being a critical, if not the critical, point of departure of his thinking from the silliness we know as classical economics. Is radical uncertainty a redundant statement? If something is uncertain, what is it that can make it radically so? Surely the whole point of uncertainty is that we have no idea just how radical that lack of knowledge may be. Worse, how do we identify uncertainty? Isn’t it simply a concept that describes our inherent lack of knowledge? In any case, it is precisely because of uncertainty that I find Keynes so appealing. Whether or not he dealt with it correctly is another matter, but at least he was sensible enough to eschew the nonsense embraced by others that economics can be theorized about as if humanity had all the knowledge it will ever have right now. Just how anti-social is economics? I don’t think the question is difficult to answer: economics in its modern mainstream form is, at its heart, designed to undermine democratic government. It is, therefore, profoundly anti-social. The genesis of this antipathy towards democracy is all the way back in the beginning moments of economics as an intellectual discipline when its earliest proponents had a very specific objective, which was to build an argument for the elimination of politics from the social space we now refer to as the “market”. This effort to de-politicize commerce was driven by the perceived need to rid it of the constant interference of whimsical and debt ridden monarchs. So the discipline’s founders built their new framework to denigrate or demean government, where government could be equated with an authoritarian despot. The purpose of increasing taxes on the wealthy is twofold: one is to raise revenue; the other is to prevent growing concentration of wealth. I think the second of the two is the more important. The American system of opportunity and so on was founded on society being more equal than it is [not equal, but more equal]. As wealth gets entrenched further each decade inequality erodes that system and would eventually replace it with an “old world” class system. So taxes on wealth are a buttress for democracy as much as a source of revenue. As for the funding for the various social and infrastructure being bandied about at the moment: I see no reason for us not to augment the increase in revenue generated by the above mentioned taxes by judicious borrowing and the implementation of new taxes such as the “Tobin” tax on financial transactions you mention. 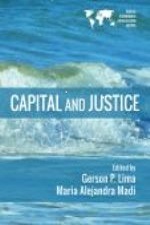 Why is it the economics still restricts itself to constructing its narratives around concepts like labor and capital? Neither are very precise. Both are amalgams of more fundamental concepts. And, even in the hands of the very best of economists, no combination of them gives us much confidence that they explain major economic phenomena such as the extraordinary growth seen over the past two hundred years or so. I regularly lampoon growth theory for its lamentable inability to eliminate its reliance on large, and only vaguely defined, things like “total factor productivity”. This is after fifty odd years of trying. Instead we get kluged and botched together substitutes for breakthroughs — endogenous growth theory being a prime example of such a kluge. Only economists blinkered by their path dependent ways could possibly see the notion that the engine of growth somehow sits within the economy and is not some arbitrary exogenous factor as a breakthrough. Apparently Schumpeter’s dramatic characterization of gales of destruction didn’t ring a bell loudly enough. A little knowledge goes a long way. That’s the saying, correct? Well you’d never know it by looking at economics. It’s hard to find knowledge anywhere. Now I’m not being facetious about the gaps in economic theory. Let’s all give the discipline its due and say that it has done a masterful job of getting as far as it has based on the limitations it bounds itself with. It’s just that sometimes those limitations are glaring and can stop someone in their tracks if they’re not steeped in the dark arts themselves. The results of those limitations are often a stunning avoidance of topics that are crucial to understanding a real economy. Or at least they’re crucial to someone less determined to be so willingly limited. I know, this is all vague. Let me explain. I have been re-reading an excellent book by Cesar Hidalgo. It’s called “Why Information Grows”. It was first published in 2015, and is well worth the time it takes to read through it. Hidalgo is another of those apparently endless line of MIT types who wander all over topics in an unconstrained manner. In his case he sets out a wonderfully clear account of what information is — as opposed to the usual rather cramped version built solely on Shannon’s communication theory. Well, only if those being elected have an inkling of what their constituents actually want. And it seems that, here in America at least, there is a considerable gulf between what those who are elected think are the key issues and what those who do the electing think of as the key issues. The lack of overlap is distinctly upsetting. We are constantly being told that the US is a relatively conservative nation. This is why some of the more obvious social democratic remedies for our economic and social ills are considered as beyond the pale. They won’t fly here, we are told, because Americans won’t go for them. This is odd when we think about how extremely popular programs like Social Security for retirees and Medicare for the elderly are. Despite the regularity with which the Republican party derides such programs, and despite the dire predictions that said programs will reduce America to some version of abject Soviet-style penury, the voting public simply loves them. Getting rid of them is impossible. This is why the only approach that remains to our political right is to starve the government of revenue sufficient to pay for “entitlement programs” so that the debate is shifted away from their efficacy and towards their affordability. No one doubts their efficacy. But we seem always to be discussing their affordability. The US, we are told, despite being the wealthiest economy on earth, just can’t afford entitlements. I feel bad for anyone who ventures into the social sciences. Society is, after all, a devilishly complex subject. Pull on any one string and you can convince yourself that you have understood it only to realize the next day that you missed the entire story. It’s a maze: enter at your own risk. Of course the flip side is that you can never be entirely wrong either. Just about any half-baked idea has a smidgeon of truth hidden within it. Take a look at mainstream economics. It’s about as nutty as can be, based as it is upon axiomatic foundations that bring gales of laughter to anyone seriously interested in depicting or comprehending reality. But we have whole academic departments filled with very clever people who cringe disbelievingly at the ridicule outsiders hurl at them. What do those silly outsiders know? Aren’t they impressed by the elegance of it all? The intellectual rigor is stunning. It takes a lot of raw brainpower to keep the discipline aloft midair whilst pretending to be rooted firmly on the ground. One outsider I admire — Daniel Dennett — uses the words “sky hook” to describe an idea that is used to support an intellectual edifice in place without proper foundation. The idea is to create the illusion of a solid foundation, and to start the argument above, rather actually on, the ground. The history of ideas is littered with sky hooks. Economics is full of them. The key to understanding corporations is to separate the economics from everything else. We need to do this because the economics, as expressed in various theories of the firm, are usually entirely idealized and bear no resemblance to reality. Economists, as usual, love to theorize about things that don’t exist but which they wished did exist. But that may just be me being dismissively judgmental. Corporations, far from being products of the free market, are actually franchises of the state. They are sub-contracted jurisdictions. To be a corporation is to possess a charter from the state. That charter brings privileges not available to non-corporations. The most notable privilege is that the corporation is recognized as a distinct legal entity separate from any “natural” person who may be associated with it. And because the corporation is brought into existence prior to it being populated or animated by any natural person, it is not owned by any of them. It is unowned. In this sense it is akin to a nation state, the church, most universities, and, at least here in the US, most towns, It would be odd to describe any of those bodies as being owned by the people who animate them. Yet we routinely talk of firms being owned by stockholders. It is this misattribution of ownership that leads most economists astray in their theorizing. I have become quite a fan of David Ciepley this summer. He, amongst many I am sure, is blazing a trail through the morass of corporate law and providing new insights into the role and status of the animal we know as the “corporation”. Anyone with an interest in the role business plays in the economy needs to understand what Ciepley is saying. In one talk he gave, at MacGill University, the introductory remarks by his host were illumination in themselves. The occasion was a presentation and interdisciplinary discussion about the corporation and its role in shaping the social landscape. The host rattled off the university departments and working groups involved in the discussion in his welcoming remarks. There was no mention of economics. The omission tells us all we need to know. Economics cannot engage, easily with other disciplines in discussions about the organization of business because it cannot recognize the reality associated with said organization. This is not to say that somewhere in the great archipelago known as economics there isn’t some little island of thought about institutions — at one time that island was much more significant — but nowadays the need to crush everything into an anti-social market driven explanation makes the odds of communication with such distant shores very difficult if not impossible. Clueless or Just Plain Stupid? Here we are deep into the dark forest known as the Trump administration and half my friends are still grappling with the 2016 election result. How come America elected an erstwhile tyrant? How come a boatload of voters look quite happy tossing so-called democracy overboard? Well, as you know, I have a simple answer. Money. Or, more precisely, the lack of it. If there is one characteristic of contemporary America that stands in stark contrast to those happier times a few decades back it is the corrosion of self-confidence and belief that is a direct consequence of the obliteration of wage growth. For some reason that eludes me our policy elite — both parties, the big media, academics, and business leaders — all fail to understand that for them to be allowed to govern peacefully on behalf of the masses they need to deliver the goods to those masses. Else they get a rude awakening. This particular rude awakening was the arrival of the nincompoop called Trump. Elites gain and keep power through two methods: one is the ballot box, which has the advantage of being relatively peaceful, and the other is force. Our elite tried to invent a third way, which is corruption of democracy and its perversion into plutocracy. The ballot box stayed in place, but was rendered increasingly meaningless by a relentless campaign to subvert electoral decisions by drowning the legislative process in oceans of lobbyist distributed loot. Every so often one of the numerous news feeds that fill my inbox contains a story that stops me short. In this era of Trump dominated news I have become numb to the corruption that he has brought in his wake and to the absurdity of his autocratic style with its contempt for the rule of law. Instead I focus on why it was that so many Americans were willing to elect someone so ill fitted to the job. The insecurities of the contemporary workplace offer a partial answer. So when I read Steve LeVine’s “The Future of Work” feed from Axios recently, not only did it stop me short, it gave additional insight into that electoral conundrum. The future of work has become one of the most hotly debated and analyzed topics of the past couple of years. No one with a pretension of a serious nature or a desire to be seen opining on the “big” issues can afford not to have a point of view on it. Thus we are bombarded by an endless torrent of articles, books, academic papers, and speeches on the way in which the workplace will be changed by the emergence of various technologies. The usual umbrella under which these technologies lurk is the one we call artificial intelligence. There is no doubt that AI will have an enormous impact. There are countless breathless accounts of the number of jobs that will simply disappear as AI sweeps through the economy. These accounts usually appear from those involved in the invention and application of AI. They all end up expressing some form of fatalistic vision where the workplace will inevitably collapse under the impress of technology, wages will similarly collapse for those poor souls unable to keep up with the onslaught of robotics, with the resultant picture being grim for just about everyone except for the few who remain in the so-called “knowledge economy”. Paul Ryan is leaving Congress. Before he had finished announcing his upcoming retirement the airwaves were awash with commentary about his legacy. Count me as one of those who have a particularly strong perspective on this. Paul Ryan was, and presumably still is, a supremely hypocritical human being. Recall how he sprang into public consciousness. He quickly established himself as a severe right winger, but one with the smarts to back it all up. He promoted himself as a thoughtful conservative. He quoted all the thinkers one has to refer to if one is to be such a person. Ayn Rand was his go-to intellectual foundational source. He spoke eloquently about the damage that Federal deficits would do. He berated Democrats, and Obama especially, for their wanton reliance on debt to pay for rescuing the economy in the aftermath of the Great Recession. His mantra was that if we would only set taxpayers free, if we would only slash social spending, and if we would only see the sense in balancing our budget then America would enter a new golden age. Well, a golden age for the wealthy at any rate. There’s a bold rolling down the hill. We are watching it carefully. It is accelerating. It is enormous. It will mow us down. Lives will be lost. Or at least livelihoods will be lost. People will suffer. The boulder is terrifying. But, hey, let’s keep watching. That’s about the attitude of the people who keep on talking about the imminent tsunami of automation, AI, and other so-called disruptive technologies. Let’s keep watching because it’s bad — really, really, bad. The good folks at Axios distribute a regular synopsis of all the hyperbole surrounding the future of work and today’s edition caught my eye. Buried deep in the summary is a short item headed: “A long disruption is ahead, with low-paying jobs“. The contents are grim reading. “Their big picture: There may be a long, deep economic disruption lasting decades and taking millions of jobs. The economy will eventually come out of it. But wages for most jobs may be too low to sustain a middle-class lifestyle. As we tumble from one degrading political spectacle to another it is worth remembering that things that mattered were actually addressed periodically, even if the result was tumult. For reasons not worth mentioning here I am taking good look at English history between 1909 and 1911. In this case the tumult was triggered by a budget which was resisted by landowners and the House of Lords, and ended with a radical reorientation of power that left the House of Lords relatively toothless — although not, unfortunately, eliminated. Even from our jaundiced position this is an audacious introduction. Only a few years later Europe was engulfed in catastrophe that led, in large part, to the introduction of meany of the measures within the budget. But Lloyd George and his Liberal colleagues could not have anticipated that. The constitutional crisis that erupted as a consequence of the budget’s introduction lasted the following two years and involved threats of packing the House of Lords with compliant new members to ensure passage of the law. It involved two different kings — King Edward died in 1910 — plunging the new King George into politics from his first day on the throne. It involved a couple of snap elections, in each case called to bolster the democratic position of the House of Commons and the ruling Liberal party. And it was finally resolved after the House of Lords was cowed into submission and agreed to the passage of the so-called Parliament Act of 1911. This latter act heavily cut back on the House of Lord’s power to interfere in budgetary matters and introduced what we would now recognize as the supremacy of the Commons in fiscal affairs. This has been a long and miserable time. Deluged daily by strange and almost surrealistic gyrations in Washington I decided to sit to one side and simply watch. The spectacle of America rapidly decaying and apparently unable to prevent itself from gnawing away at its institutions is compelling. The regular attempts to undermine the credibility of everything meant to act as a bastion against tyranny is riveting. The subsequent indulgence in endless introspection about how dire our political collapse is equally absorbing. Why add to the malaise by commenting? A great nation turned against itself, locked in polarized paralysis it drifts buffeted by the incessant whimsy of its current leadership. That denigrates the word leadership, so I refer only to the titular head of state. He is a misogynist, a racist, a child, and an imbecile. This is from his essay ‘Economics and Knowledge’ which was published in 1937. Hayek’s thrust is, of course, to demolish the notion that an economy can be centrally planned to any degree of efficiency. His argument is simplicity itself: the body of knowledge that exists within an economy is so asymmetrically distributed, so extensive, and so diverse, that it is not possible for anyone sitting at the center to know whether their proposals and policies are the “best” solution to whatever problem is being solved. The “we” in that first sentence is the economics profession — his essay is based on his 1936 presidential address to the London Economic Club, so he addressing an audience of economists and attacking their assumption that everyone knows everything, which is really an assumption to make modeling more tractable rather than an effort to understand the world. And I think he’s correct. Knowledge is scattered about the economic landscape. It is clumpy rather than smoothly available to everyone. People hoard and protect knowledge in order to extract value from it. A pictorial representation of the spread of knowledge would look decidedly granular.